Feasts of three great patriarch saints of Jerusalem are commemorated in March - St. Macarius (March 10), St. Cyril (March 18) and St. Alexander (March 18). Happy Saints has created their artworks for patrons. 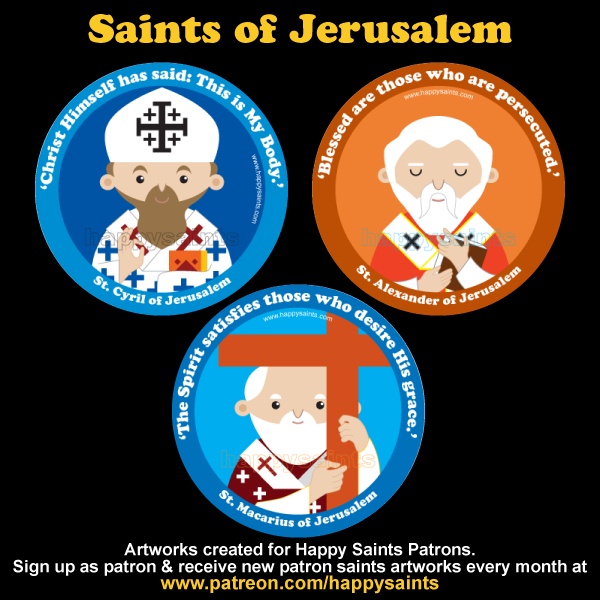 Sign up as a patron and receive new patron saints artworks every month at www.patreon.com/happysaints.